We each inhabit many worlds, often at the same time. From worlds on the inside, to the world on a cosmic scale. Worlds imposed on us, and worlds of our own making. After the death of their grandmother, two cousins return to their family's rural homestead to find a community rotting from the soul outward, and a secret nobody dreamed their matriarch had been keeping. The survivors of the 1929 raid on H.P. Lovecraft's town of Innsmouth hold the key to an anomalous new event in the ocean, if only someone could communicate with them. The ultimate snow day turns into the ultimate nightmare when it just doesn't stop. An extreme metal musician compels his harshest critic to live up to the hyperbole of his trolling. With the last of a generation of grotesquely selfish city fathers on his deathbed, the residents of the town they doomed exercise their right to self-determination one last time. As history repeats itself and the world shivers through a volcanic winter, a group gathers around the shore of a mountain lake to once again invoke the magic that created the world's most famous monster. It's the end of the world as we know it . . . and we don't feel fine at all. 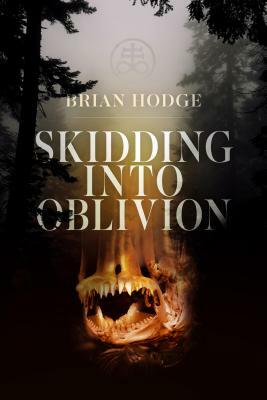 Called "a writer of spectacularly unflinching gifts" by no less than Peter Straub, Brian Hodge is one of those people who always has to be making something. So far, he's made thirteen novels, around 130 shorter works, five full-length collections, and, for Whom the Gods Would Destroy, a book soundtrack of cinematic ambient and space music. One recent novella of cosmic horror has been optioned for development as a TV series. He lives in Colorado, where he also likes to make music and photographs; loves everything about organic gardening except the thieving squirrels; and trains in Krav Maga and kickboxing, which are of no use at all against the squirrels.